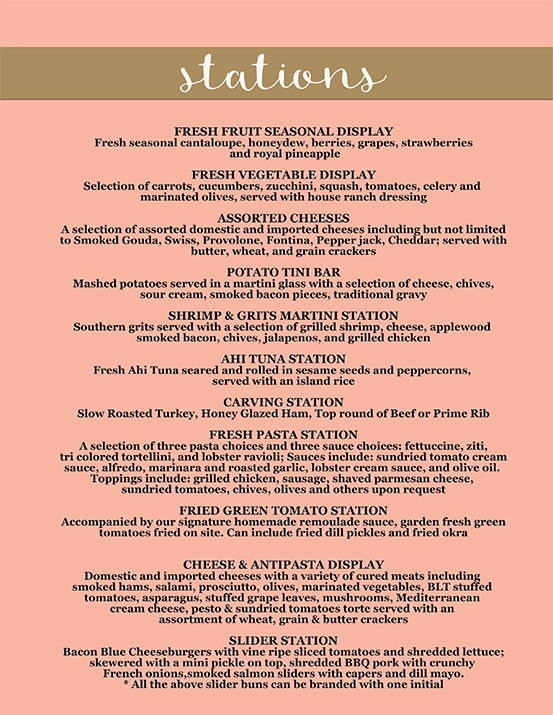 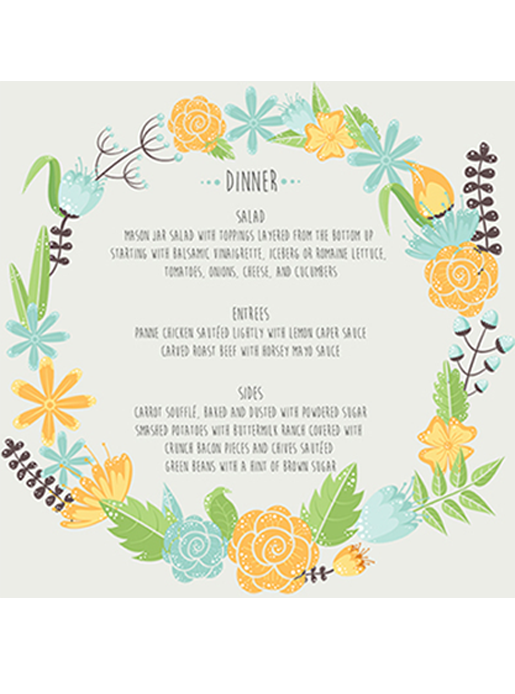 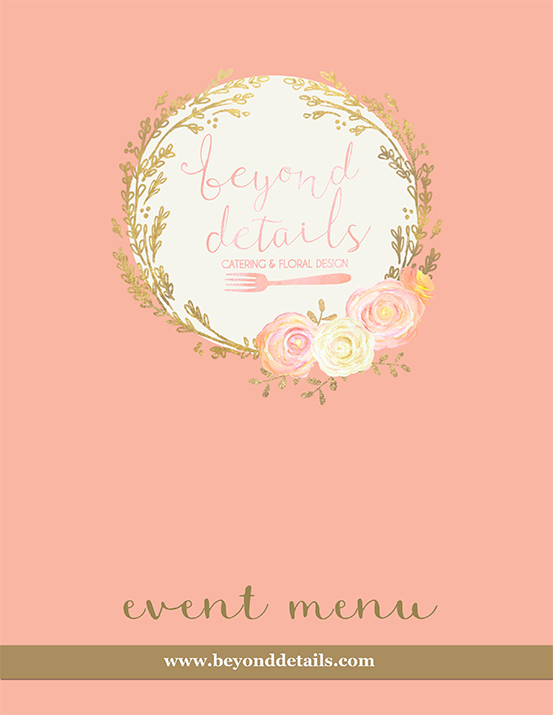 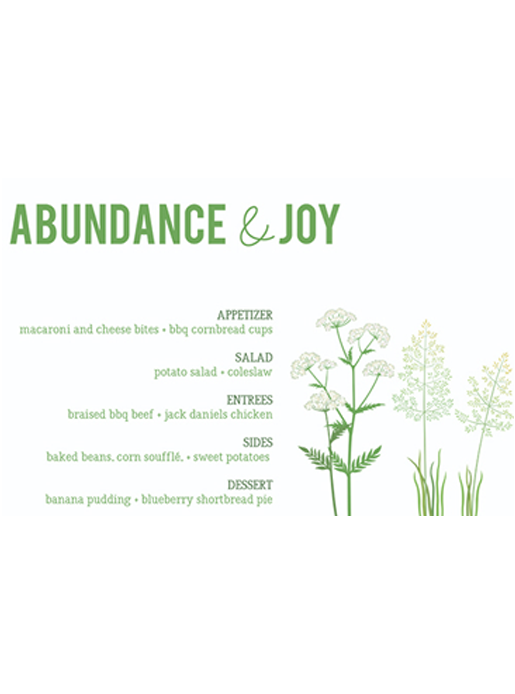 Beyond Details has the capabilities to customize your menu to meet your exact vision. 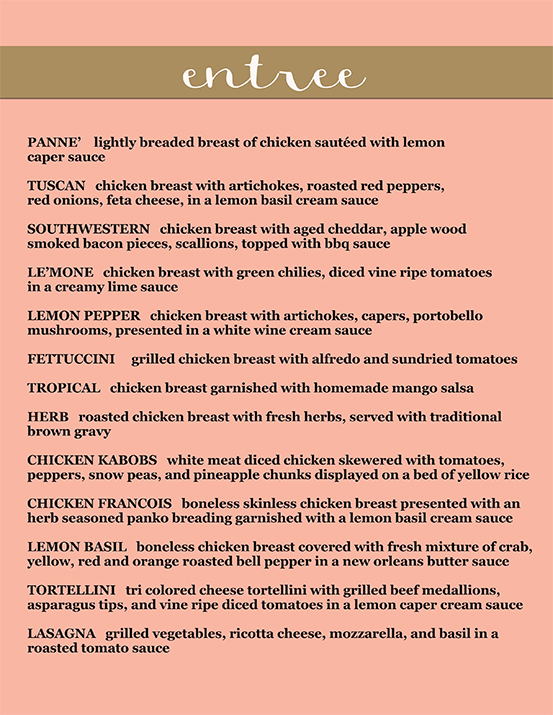 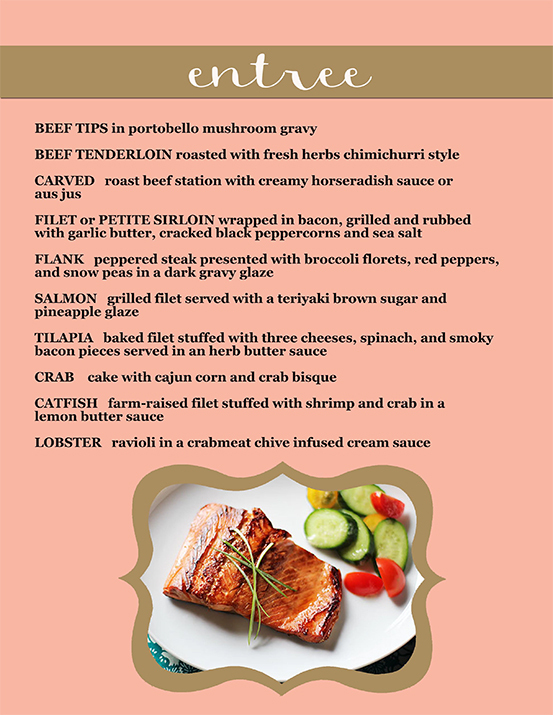 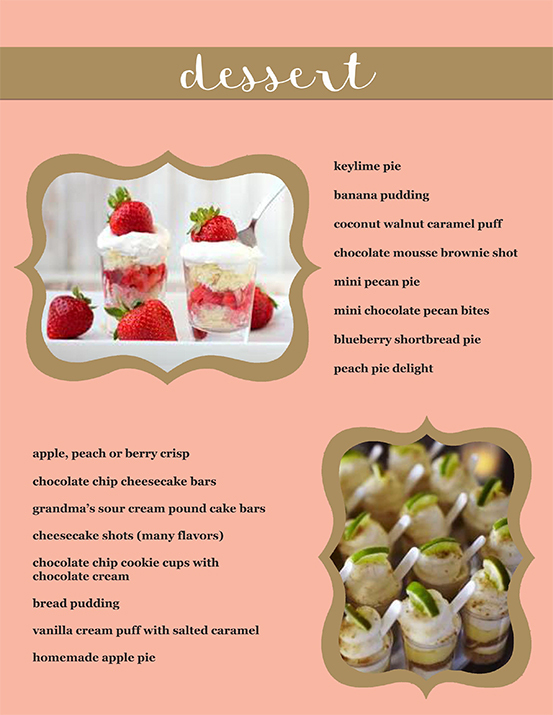 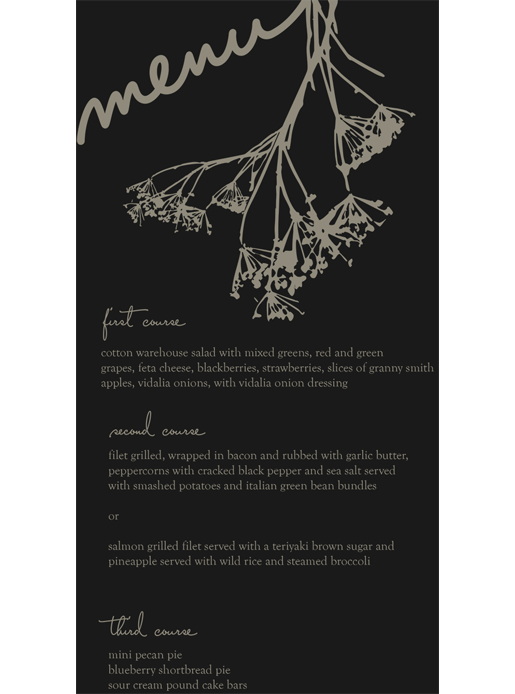 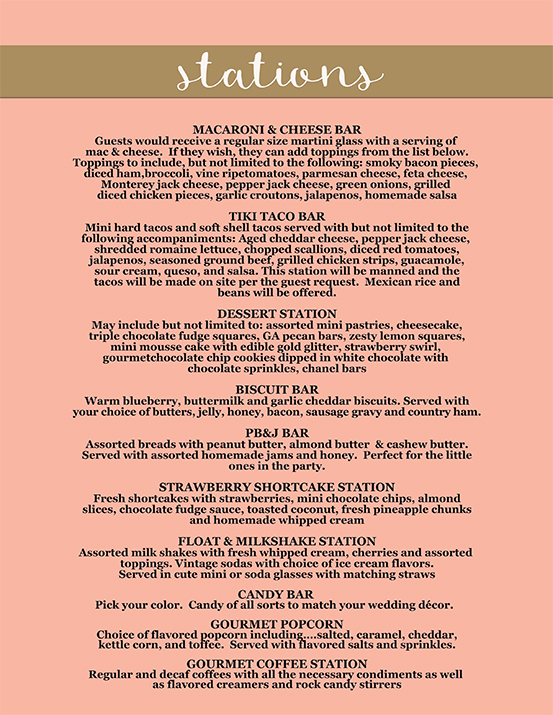 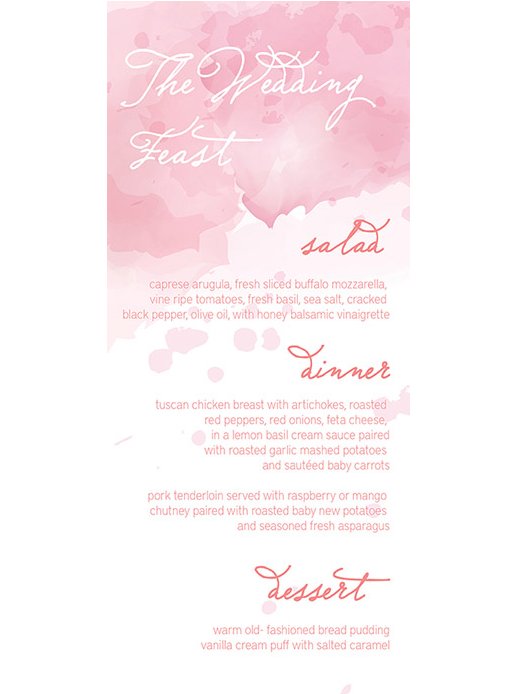 The following is a sample of our menu options. 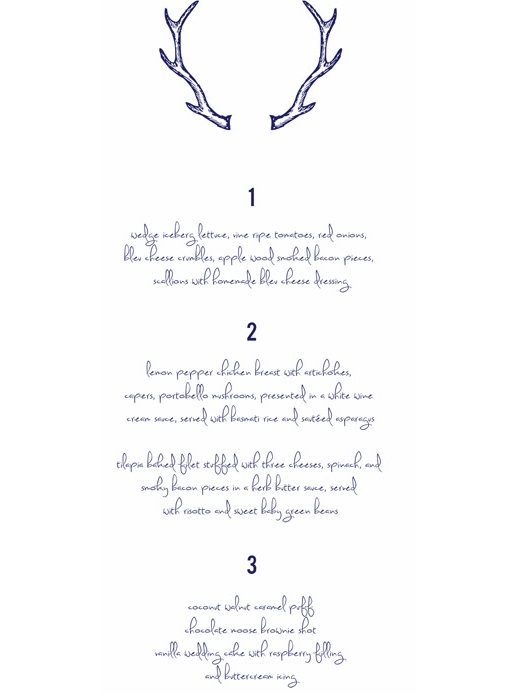 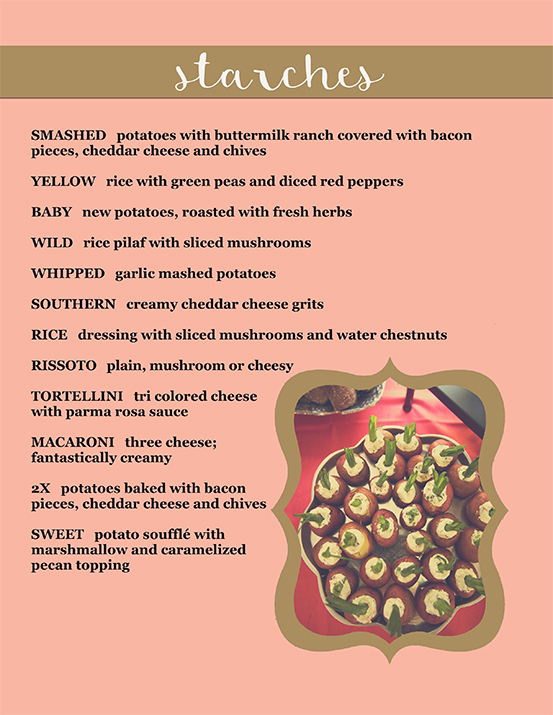 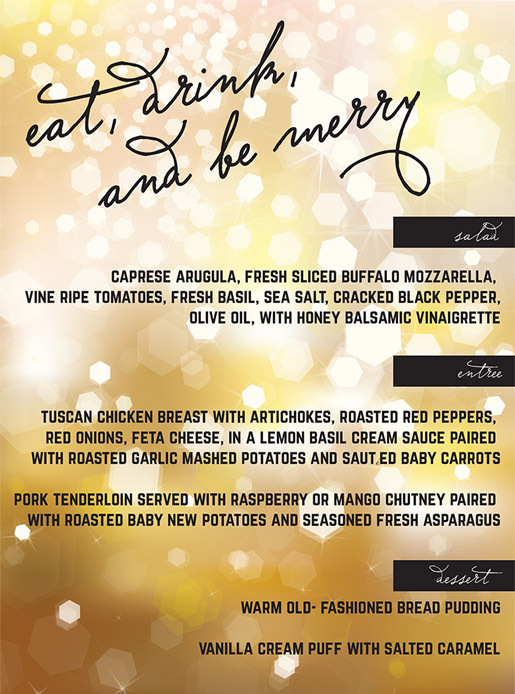 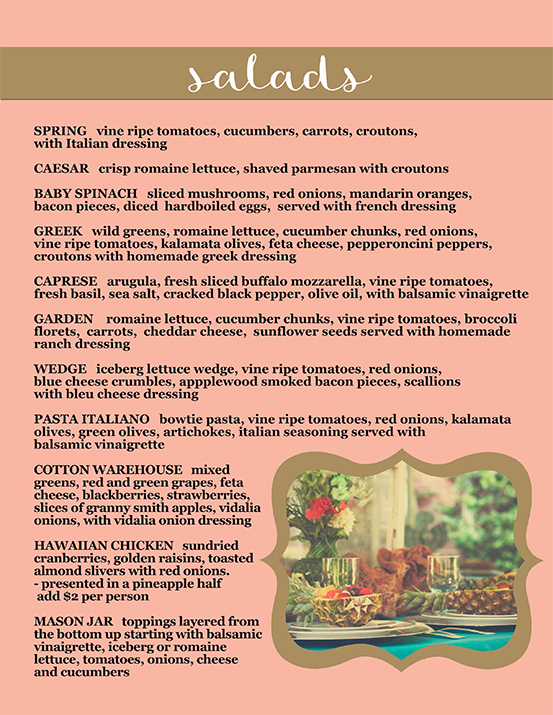 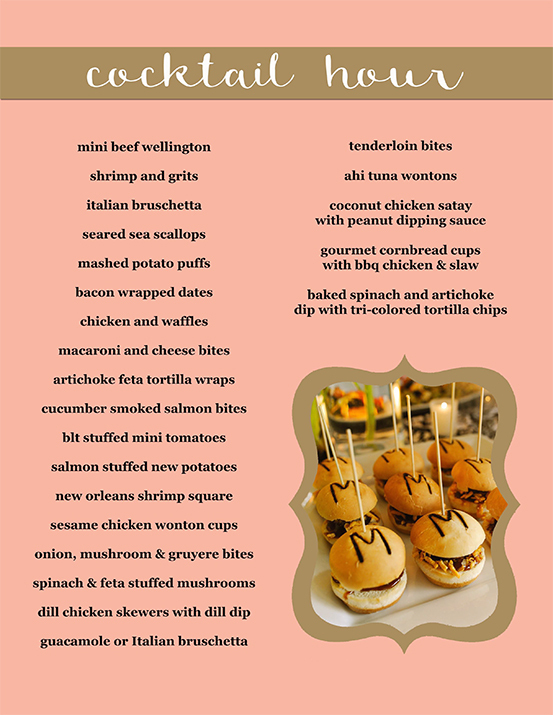 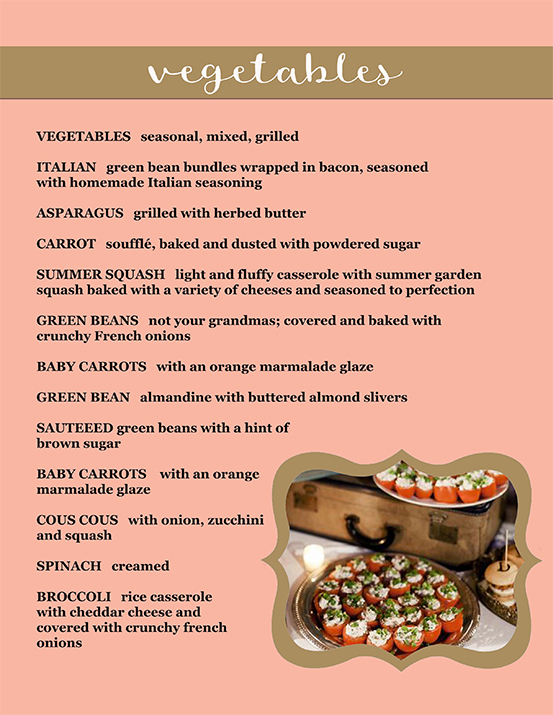 Below are some menu options for your next party. 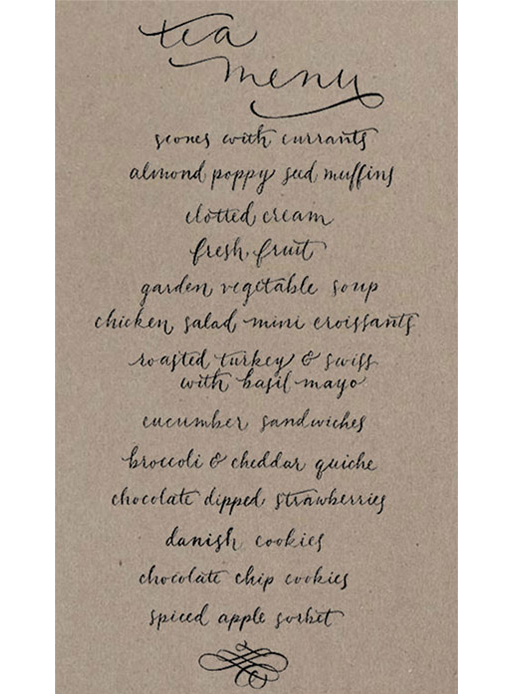 Just hover on one of the smaller image on the left and the associated menu will display.